If I can make invites for my friends babies, I should make them for my very own niece. This year, we were blessed with a new addition to our family. Her name is Johanna Hertz, and I call her Yoyoball. I regret that I won't be able to hold her while she's a baby because of our geographical distance, but I love her dearly and I can't wait to see her. 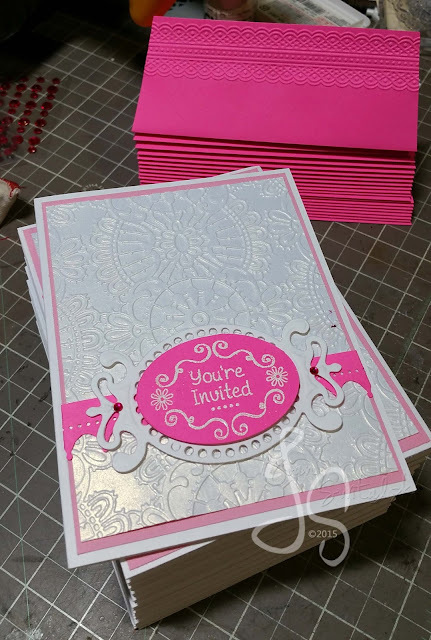 It was decided that Yoyoball's theme is pink and white. Now that is easy. 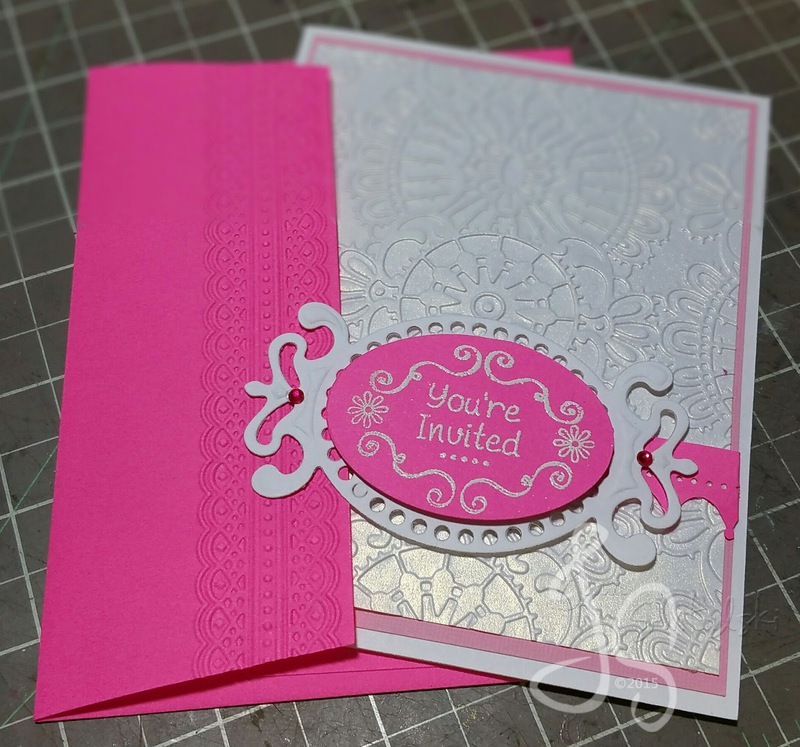 I got to play with Anna Griffin embossing folders in this project. 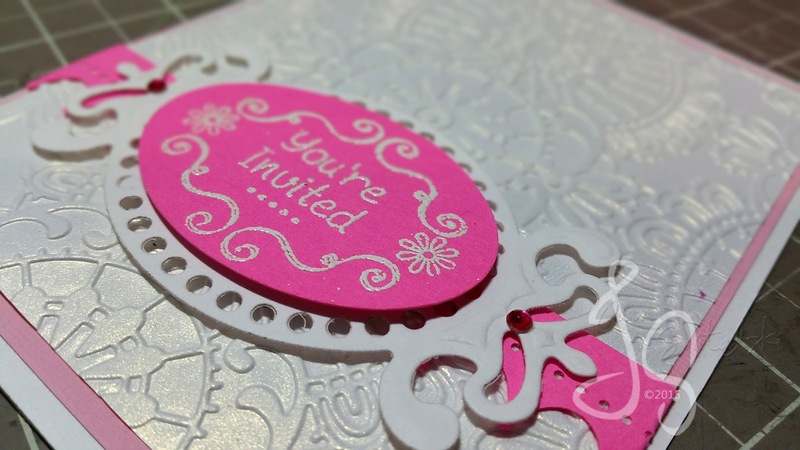 The designs are just very intricate, as you can see below. 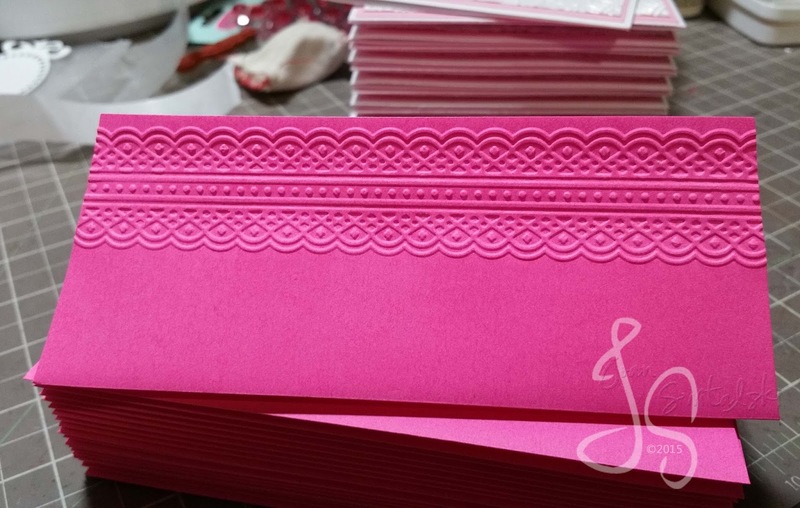 I also embossed the flap of the matching envelope. I love it! For the inside, I printed the details on vellum, then cut with Spellbinders die. I used micro Glue Dots to attach. Sorry no pic as there is a list of names of godparents. 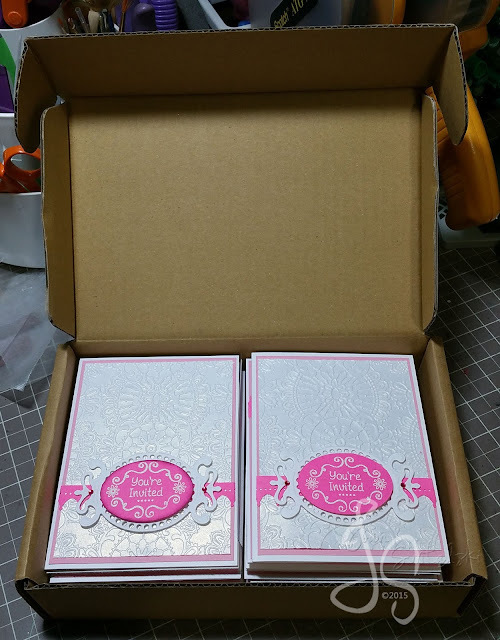 I was lucky to have a box handy to fit the invites. They are ready to fly to the Philippines. 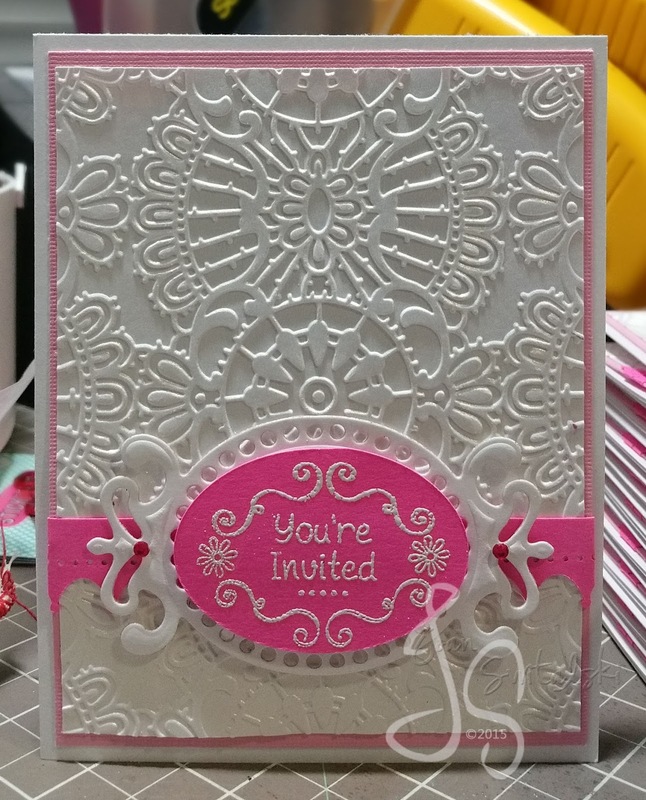 I attached a piece of acrylic cut to size to keep the invites in place during transit. I wish I can fit in the box so I can go too.